Founded in 1987 and now present in more than 70 countries worldwide, Activia yoghurt is one of the French multi-national food company’s crown jewels - with more than 300 pots sold every second. In order to stay ahead of the market and further strengthen and premiumise the brand’s core digestive health proposition, FutureBrand was asked to create a new on- and off-pack universe. The resulting design and visual identity introduces a new era for the Activia brand, reinforcing on-shelf impact and portfolio navigation with a clear brand architecture that leaves little doubt as to the role and specificity of each product range. “We adopted a design vernacular that feels precise, controlled and refined – a language more commonly found in premium skincare than the dairy aisle." The core of the redesign is a new brand icon, made up of two interlocking shapes, that communicate both efficacy and inner-balance. While a refresh of the brand’s iconic green alongside new structural elements, bespoke logotype and a bold, new photographic style communicate the highest level of food health expertise that lies at the heart of the brand. “We adopted a design vernacular that feels precise, controlled and refined – a language more commonly found in premium skincare than the dairy aisle. The overall effect? A top to bottom premiumisation that will ensure the brand occupies a more expert & credible place for consumers both today and tomorrow” says Marie-Thérèse Cassidy, Consumer Executive Creative Director at FutureBrand. Activia and FutureBrand successfully tested the new visual system amongst 15,000 consumers in 7 key markets (United States, UK, France, Spain, Germany, Brazil & Russia). The global relaunch will be implemented from September 2016, initially in 35 countries. 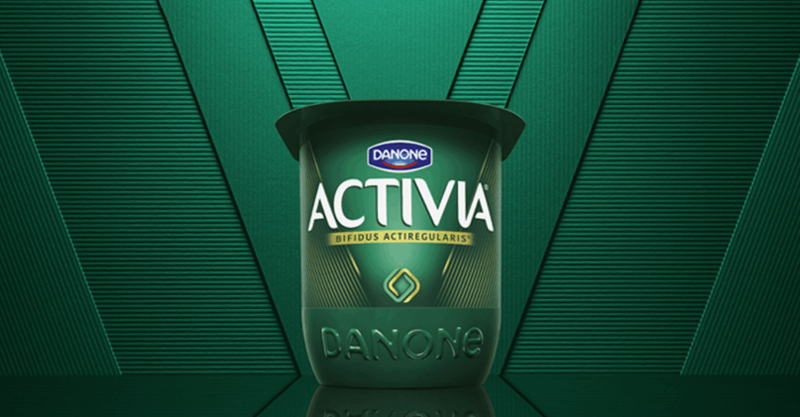 “We are always proud and excited about working with Danone both within France and worldwide and especially so when we get the chance to help deliver on the ambition of a true power brand like Activia”.